I have not read too many of the numerous children's books written by Dandi Daley Mackall. But, the ones I have read, I have enjoyed, and I especially like the way they share Scripture with young children in simple ways. Her new book, Wow! The Good News in Four Words is no exception. It is a fun book that helps children (and adults) remember the Gospel message by the use of 4 little words. WOW - presents the account of Creation and shares God's love for us. UH-OH - discusses the fall of mankind and how we all sin. YES - talks about Jesus' birth, death and resurrection, and how we can be forgiven of our sins if we say yes to Jesus. AHHH - is about eternal life and the peace we can have with Jesus as a part of our lives. 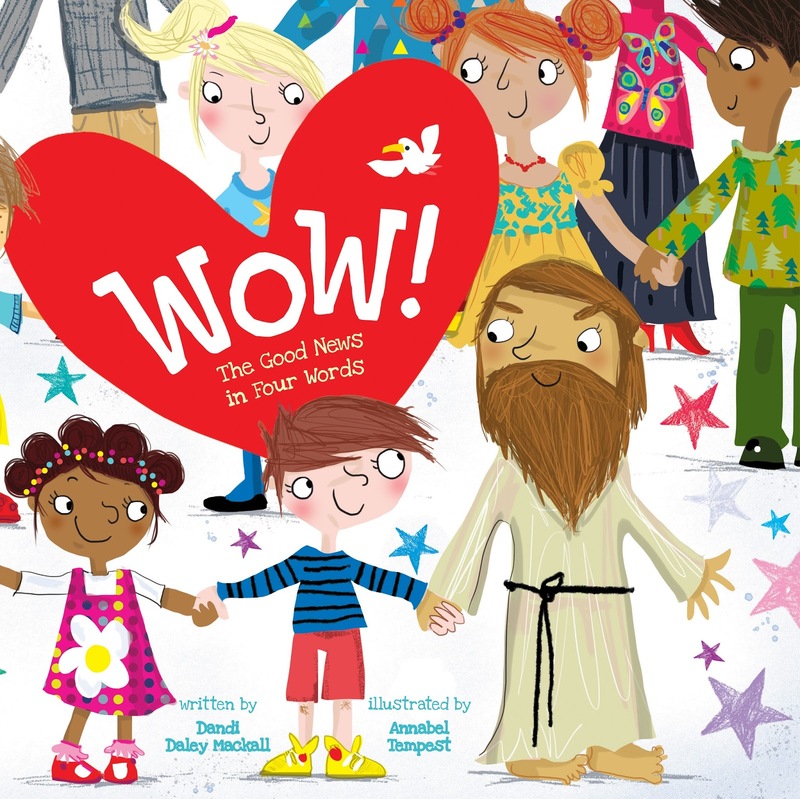 WOW (again) - encourages us to grow in our faith and share the Good News with others. I really like the note to parents at the beginning of the book that explains these words, and also gives Scripture references to back them up. You can also find more references at the back of the book for those who wish to dig even deeper into the Gospel and God's plan for us. The only thing I don't care for is how busy some of the pages are with illustrations. The illustrations by Annabel Tempest are well-done, however, there is just a bit too much on each page for my liking. For some children, that might be great, but for me and my children, "less is more." We prefer few and simple illustrations that are a little less distracting. But, other than that, the book is good and I would recommend it. Tyndale House Publishers provided me with a complimentary copy of this book. All opinions expressed are my own.